Do you have an interest in bookbinding? Have you always wanted to be a boy or girl scout but never took the opportunity to join? Or maybe you miss those scouting days? 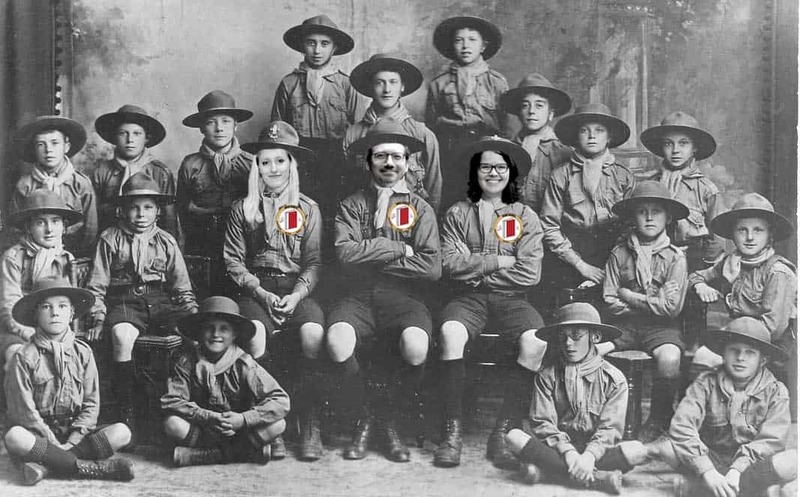 Well, now is your chance to earn your Bookbinding badge and join the Book Scouts. Curated by Olson Graduate Assistant Laura Michelson, graduate student Zoe Webb, and graduate student Damien Ihrig, How to Earn Your Book Scouts Merit Badge is an exhibit now on display in the reading room of Special Collections. 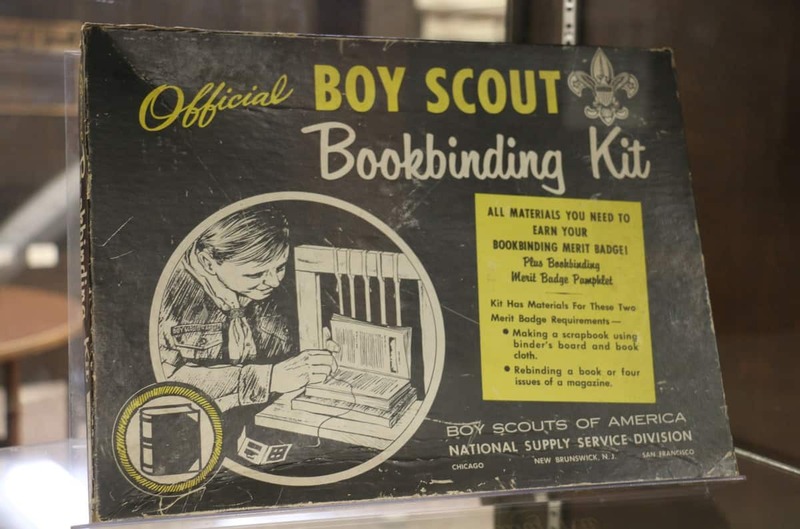 This exhibit breaks down the process of bookbinding in chronological order, starting with a 1950’s Official Boy Scout Bookbinding Kit, which they discovered up in the Conservation Lab of the Main Library. From there, the three graduates display the materials used in making books, including parchment and minerals used in making different colored paints and dyes. The exhibit continues with displays of several historical book binding models, as well as their own creations from their classes in Center for the Book. “There’s more to the creation of books that people don’t understand sometimes,” Michelson said. The addition of their own bookbinding work brings their curation of this exhibit to a personal level. “It does a good job of capturing the specific things that we’re interested in individually,” Ihrig said. Michelson, Webb, and Ihrig are three graduate students in the School of Library and Information Sciences with a graduate certificate in Book Studies (BLIS). They were asked to create an exhibit about their experiences in the BLIS program and they found that bookbinding was something they all had in common. But, what made this exhibit really come to life was the boy scout bookbinding kit. They also wanted to add an element of interactivity with the exhibit because the boy scout bookbinding kit included a checklist on how to earn the badge in bookbinding. So, they created their own list for participants to earn their book arts badge for the new Book Scouts. Along with the list, there will also be a pop-up exhibit on March 6th from 1 p.m. to 4 p.m. where people can make their own book and check-off an item on their list to get their badge. Other items include visiting the exhibit, visiting Special Collections, attending a bibliophiles talk and then submitting a form by April 2nd. Then you could be an owner of a Book Scouts Merit Badge. You can download the list here or pick one up at the front desk at Special Collections. Once filled out, turn it into the Special Collections front desk to receive your own badge! How to Earn Your Book Scouts Merit Badge is currently on exhibit and will be up until the mid-to-late April.